Especially made for long, stressful trips, this Hello Kitty travel pillow will surely do the trick to rest your tired neck. 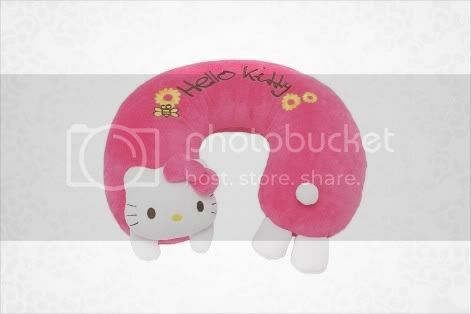 Doze off in style with Hello Kitty’s neat travel pillow! Sweet Dreams! Glam up your hair with different lovely styles using this chic Hello Kitty hair brush! 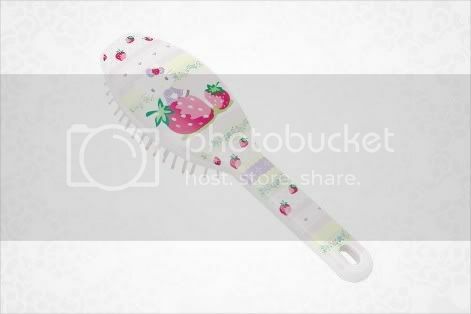 It has a cute design featuring Hello Kitty with strawberries and ribbons motif. Click here for items that will match the brush! What happens when Hello Kitty and My Melody merge? A cute little cat bunny will emerge! 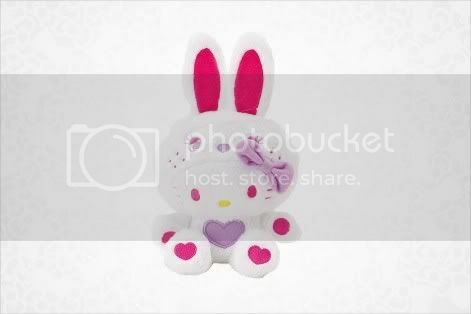 This fluffy little addition to the ever expanding line of Hello Kitty Plushes is definitely a collector’s item. After all, how often can one see Hello Kitty in a cute bunny costume? Need an alarm clock that will REALLY wake you up? Have no fear; the cute white feline is here! 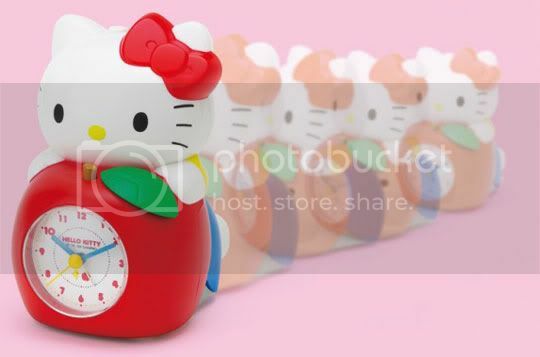 After setting it up to your desired alarm time, you’d be surprised on how Hello Kitty will wake you up the next day. Why? That’s because when she rings, you will need to chase after her before you can turn the alarm off. That’s right! Hello Kitty will start running in different directions as soon as she starts ringing. She will also say things like “Good morning, it’s time!” or “Hey, you’re gonna be late! (in Japanese)” and won’t stop till you get a hold of her. This is definitely ideal for people who always find it hard to wake up in the morning or for those who’ll have important arrangements the next day. My Melody and Piano in a wristwatch full of strawberries - do we still need to explain how cute this thing is? 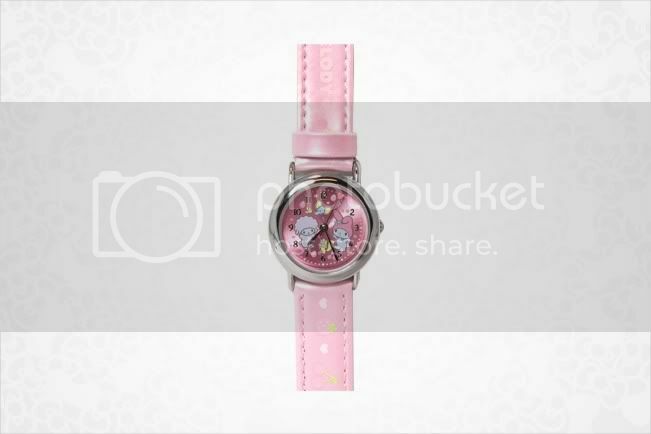 Look like a cute princess this Spring by wearing this brand new My Melody wristwatch now!